Blackmailed into working for the cartel, a brilliant robotics engineer helps them deliver drugs. When an FBI agent learns the truth, will she arrest him or recruit him? Spamming inboxes provides Baxter Cruise with easy college money after his parents die. But when he trips over the corpse of a murdered professor, his cozy world explodes. Avoiding the police, Baxter's professor friend, goes on the run. Is he afraid? Or was he the hitman? When a student asks Baxter for help on a project, Baxter finds out that his friend was working for the cartel. Drug running isn't in the same league as spam, but unless Baxter agrees to finish the project, they'll kill him. While an FBI agent hunts the professor's brutal assassin, every angle of her investigation points to Baxter. He's hiding something, but he's in too deep to trust her with the truth. The cartel needs Baxter's robotics expertise for a single lethal project. After that, there's no reason to keep him alive. Kidnapped from his ivory tower to work on weapons of destruction, he just wants to go home. It's not Baxter's war. But he's the only one who can stop it. 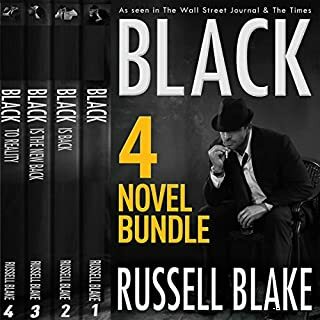 All of my thrillers race through the same story world, so characters from one series may appear in the others. You can listen by series or by the order of publication. I was given a copy of this book in return for an honest and unbiased review. Talk about complicated characters! Baxter Cruise is a student of robotics, paying his way through school with his spamming business, not a pure hero. His teacher is not a wonderful person either, but when the teacher goes missing, Baxter looks for him and winds up in a dangerous world. It was quite an interesting technological adventure and I am looking forward to other books in the series. I was pulled into this book from the very beginning. I really enjoyed how fast paced this story was. Although the characters were not perfect, they were endearing. This book is a standalone listen, yet it is listed as part of a series. My review is not a synopsis of the book, but rather my opinion of it. I leave it up to the professionals to write the synopsis as they are much more eloquent. 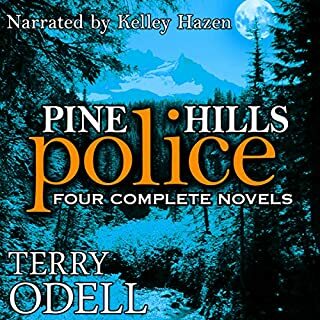 I was voluntarily provided with this review copy audiobook at no charge by the author, publisher and/or narrator. Regarding the narrator, I thought that Patrick Nolan did an excellent performance was able to put so much emotion and tension into the book that one would not get just reading it. This was the first book by either author or narrator that I have listened to, and I will look for more by them as both are very talented. I typically don't read or listen to books like this but the summary peaked my interest so I decided to give it a try. I am so glad that I did. I enjoyed every twist and turn. The narrator did a good job. Would you listen to Ocean of Fear again? Why? Yes! I loved the story and the characters. The narrator was great as well. Yes. The story pulled me in and I wanted to know what happened next. It was really hard to stop listening. Loved this! If you're looking for a good thriller, don't miss this one. I requested a free review copy of this audiobook and I have voluntarily left this review. 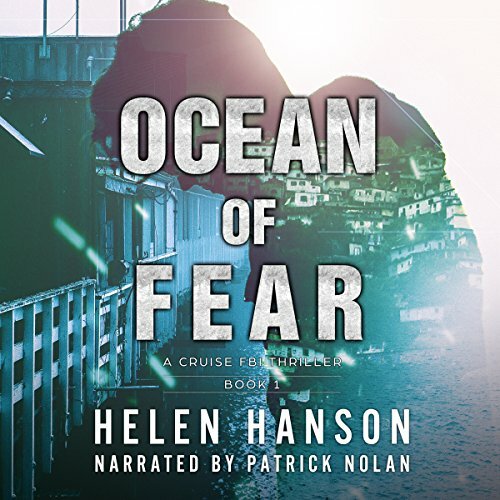 I didn't know what to expect when I started listening to Ocean of fear, and I'll admit the first beginning chapters had me a little concerned about the pace and direction of the story. However it wasn't long before it hit it's stride and won me over all the way to the end. With an interesting plot and characters, and a few good twists I thoroughly enjoyed it and would highly recommend it. Enough tech talk to make it believable and interesting without needing a translator for the common masses it was simply a fun book. Patrick Nolan does a good job as the narrator and I enjoyed his character voices. So for all of that I would recommend this book and to stick with it because like I said it can take a while for it to hook you buy you might find it worth it. Not very mysterious or thrilling to me, but . . . It is a decent story-line that I think could have been developed a bit more with less techno-talk and more/faster action. Maybe it was the tone and cadence of the narration that prevented me from being pulled into this book. Frankly, I found it lulling me to the point that I was no longer really listening to the plot and it became just sort of background noise to me. 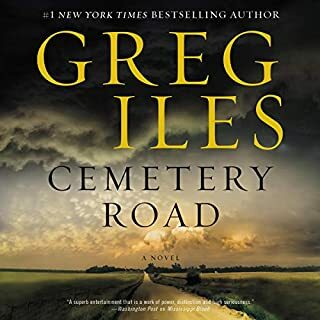 Since this rarely happens to me, and others reviewed this title as being a great thriller, I kept coming back to it on several occasions over the course of the month in hopes that the story would pull me into it . . . but it never happened. I cannot say that this was a bad listen, because it kept showing glimpses of promise for me, and I do enjoy this genre; maybe it is just me, but it never worked and in my honest opinion it was missing something. A review copy audiobook was provided by the author, narrator, or publisher at no cost in return for this unbiased review. My hope is that this review helps in your decision to obtain this book. &quot;Ocean of Fear: A Cruise FBI Thriller&quot; (2014) is an intriguing novel about Baxter Cruise, a brilliant young man working on his master’s degree in robotics. Baxter is forced to help a dangerous, ruthless drug cartel build a robotic system that will move their product underwater, knowing when he’s finishes he will be killed. However, determined FBI Special Agent Claudia Seagal is searching for him. It’s a well told story that turns up the action towards the second half. Strongly recommended. 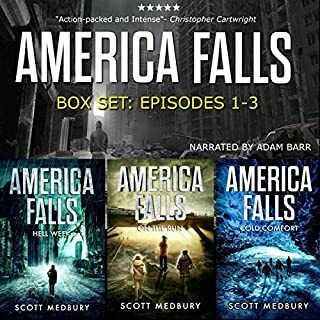 Audiobook given free in exchange for an honest review. This one I can recommend. I've been reading a lot of mystery novels and most of them are pretty basic or flat out bad. This one was a little interesting and had my attention. The writing is crisp and pacing is apt. The voice acting was alright, except for the female voice parts. Those parts were whispery and didn't sound right. A movie could be made on it. Probably Brie Larson or Amy Adams can star in it as the agent. And Matt Damon can play the other protagonist. Lots of things happening here but it works! Pulled me through from beginning to end! Great narration. Definitely a good read. Folks don't always follow the moral path and when Venezuela drug cartel find out, you're an easy target to exploit. This was a fast-paced thriller that held my attention throughout. I was unfamiliar with the author but plan to check on her other works as well as this series. Patrick Nolan did well narrating and giving each character a different voice so it was easy to connect with the story. I was voluntarily provided with this review copy audiobook at no charge in exchange for my honest review. A taut and exciting thriller with a feel of authenticity made more real by the excellent characterisations and narration. A young robotics expert finds himself involved in more than he expected after his mentor asks him to look after his dog and deliver a flash drive to one of the campus professors. He finds her dead, just murdered, and awakening fears for his own life become reality. Well written, Helen Hanson's story is atmospheric and gripping from first to last. 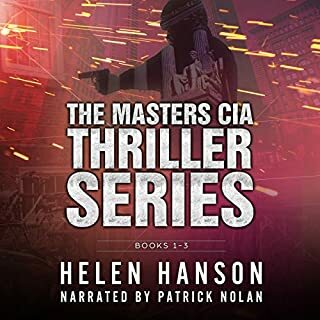 Narrator Patrick Nolan, reads with clarity and with just sufficient emotional cadence to make him a joy to hear, plus his voicings of the various protagonists is also good, each individual and distinctive. The narration enhances this already excellent book. Although completely stand alone, this is the first book of a series, fortunately, as it would be a great shame not to find out more about the ongoing lives of the main protagonists, so real do they become to the listener. I was very fortunate in that I was gifted with a complementary copy of Ocean of Fear by the rights holder, via Audiobook Boom. Thank you very much. 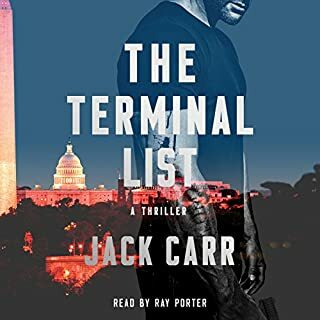 My acceptance of this gift carried no conditions, but my enjoyment of it is why I can rate it highly and recommend it to all enjoying good thrillers.